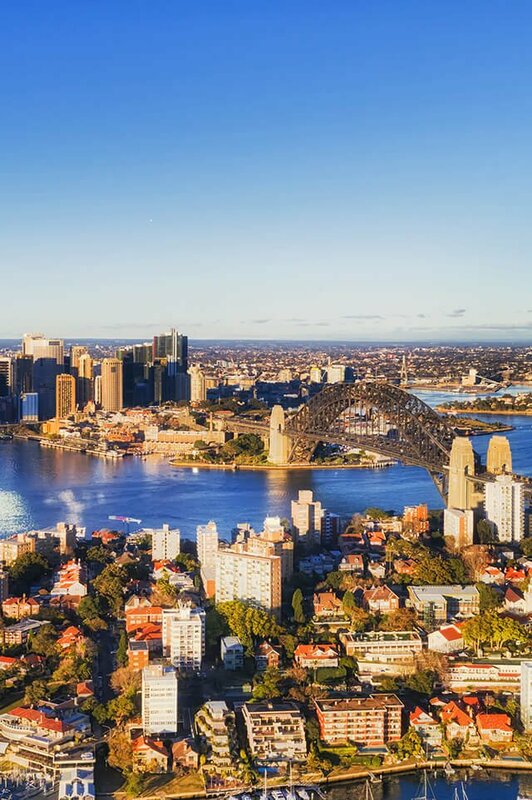 McMahon’s Point is located approximately 3 kilometres north of Sydney’s CBD encompassing Berry’s Bay, Lavender Bay and Blues Point with its expansive views across the waters of Port Jackson to Miller’s Point, Barangaroo and Goat Island. Adjacent to the North Sydney CBD and the amusement attraction of Luna Park and North Sydney’s Olympic Pool is Blues Point Reserve, a popular spot to watch the fireworks on New Years’ Eve and Blues Point Road, a trendy business hub associated with advertising, design and media with accompanying hip bars and funky cafes that cater to the local scene. It’s easily reached by local bus transport, ferries and trains. The Warringah Freeway provides a link south to the Sydney CBD and north to Chatswood. The area offers a mixture of Victorian terraces with contemporary and period apartments and spectacular waterfront properties interwoven with commercial real estate. It attracts a mix of both independent retirees and young professionals and families wanting close proximity to the city. Do you need a Buyer’s Agent who can assist you to purchase a property in McMahons Point?